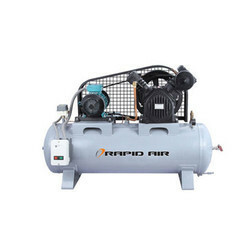 Matching up with the ever increasing requirements of the customers, our company is engaged in providing Oil Free Air Compressor. - Ultimate 100% oil free, clean air. - The integrated air dryer enhances the air quality and protects your air network against corrosion. - Friction free hydrodynamic bearings lubricated by clean, filtered lubricant. - Durable materials to exclude any risk of corrosion. 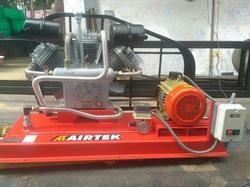 - Reduced rotor stresses due to soft start up process. The compact and air cooled design of this range of non-lubricated compressors fulfils the requirements of industries that need round-the-clock oil-free air. Leveraging the skills of our qualified team of professionals, we are instrumental in offering a wide range of Oil Free Compressor.